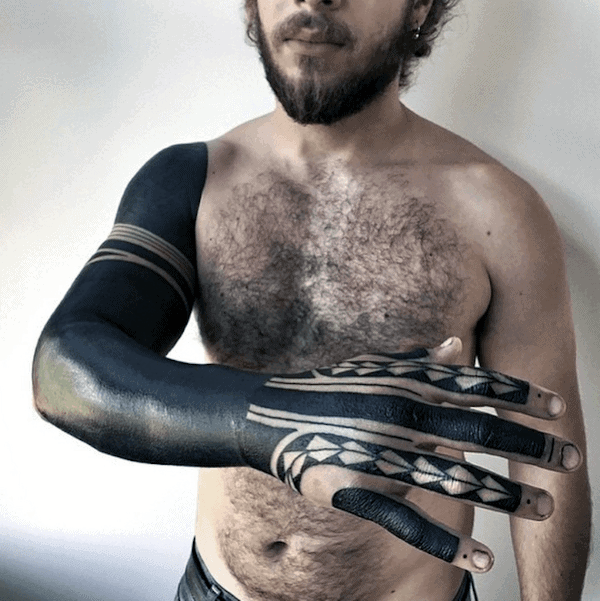 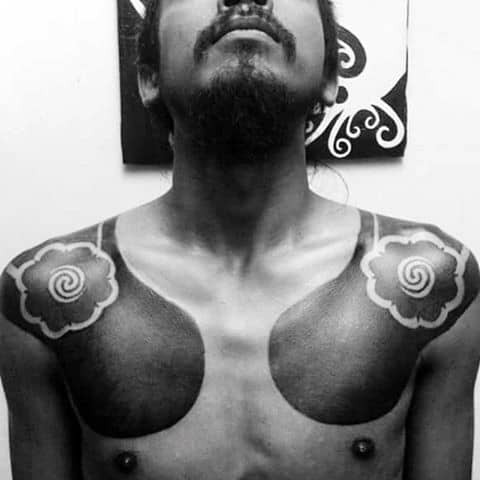 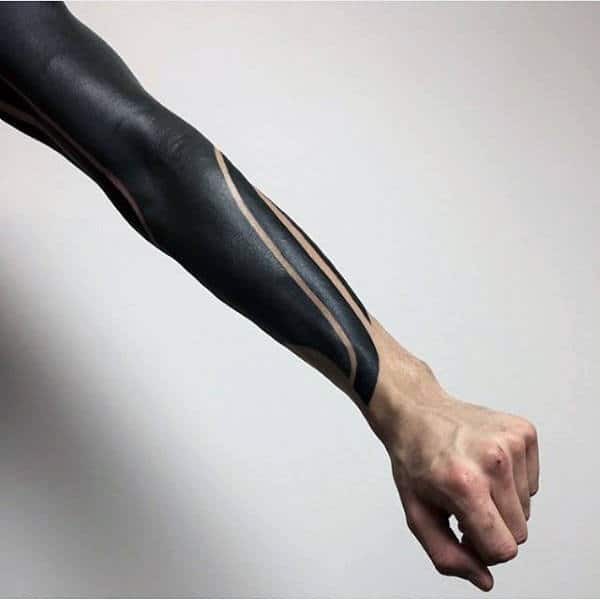 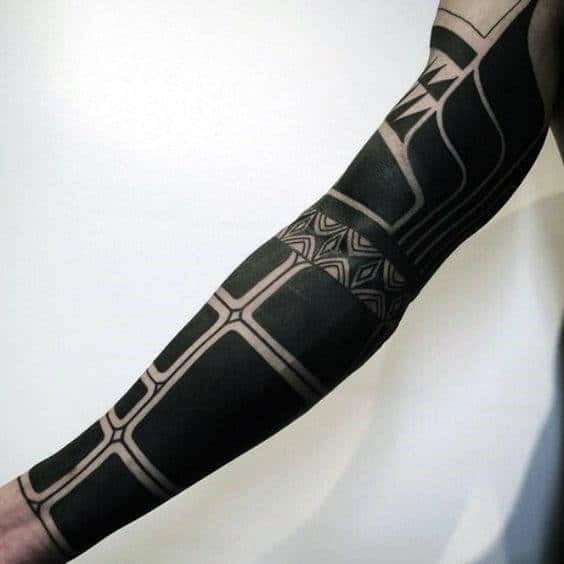 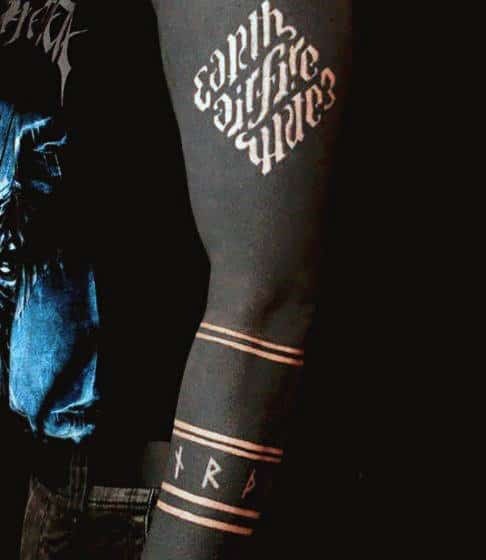 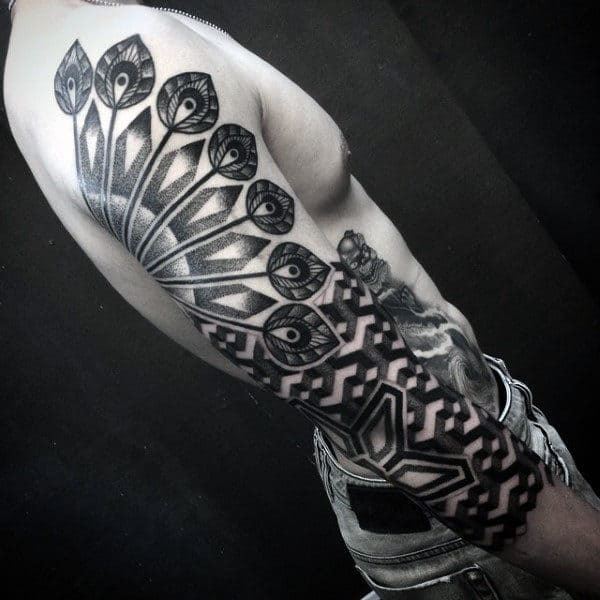 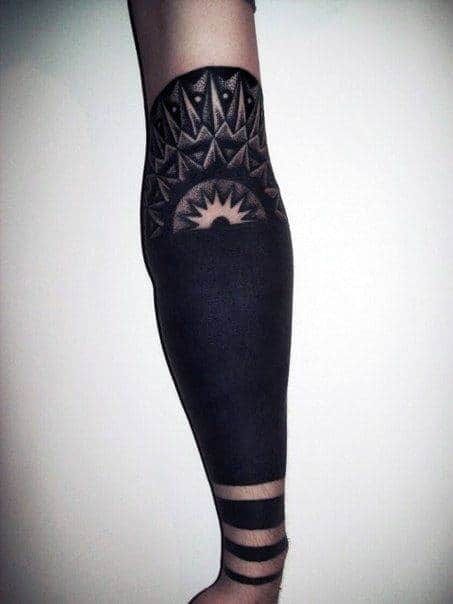 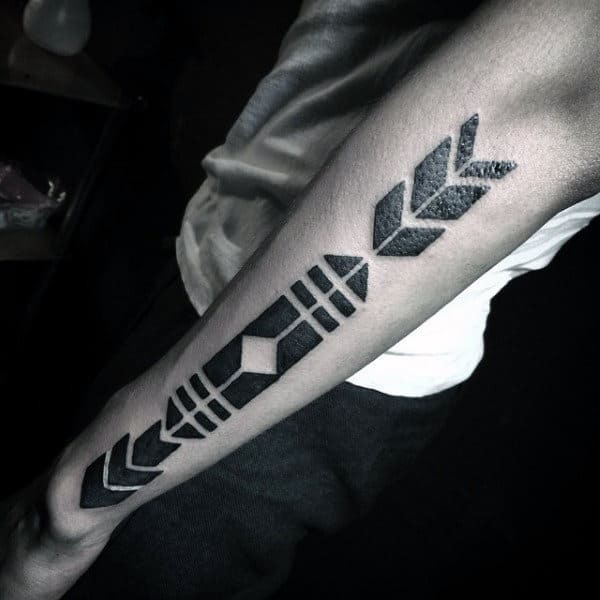 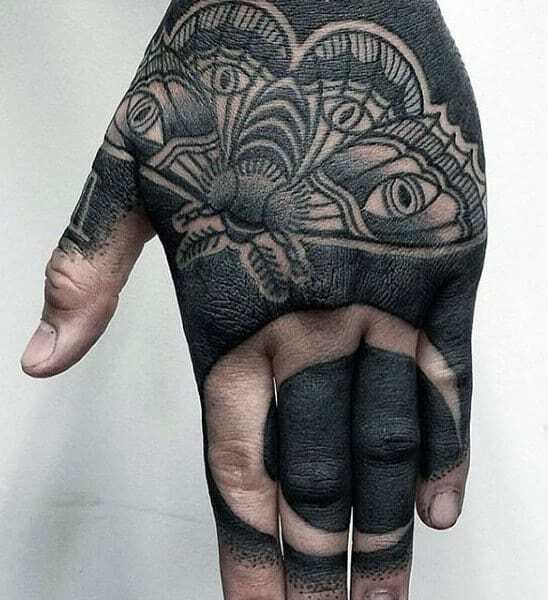 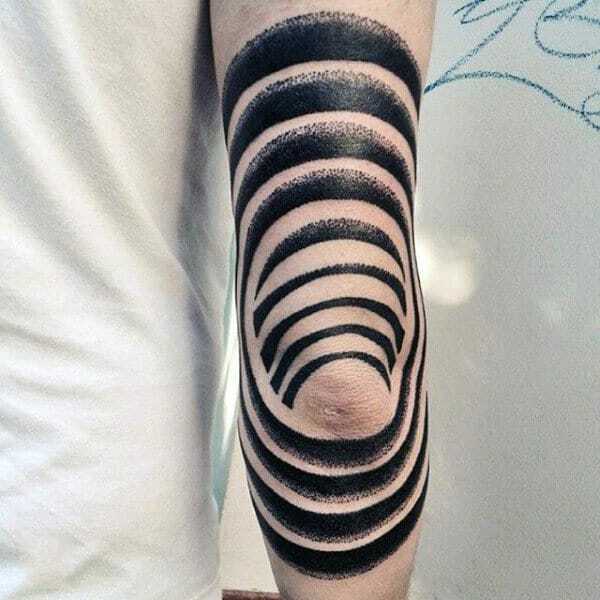 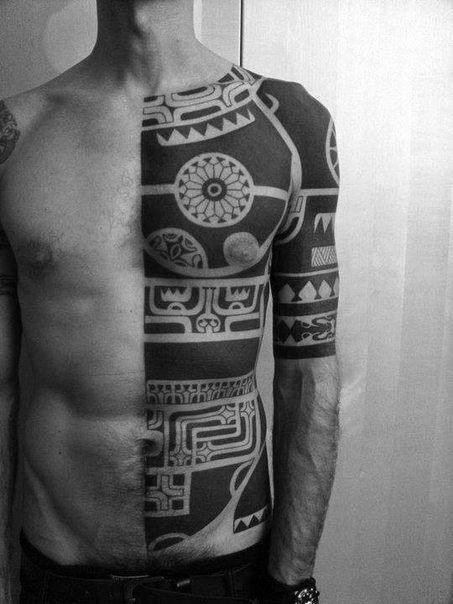 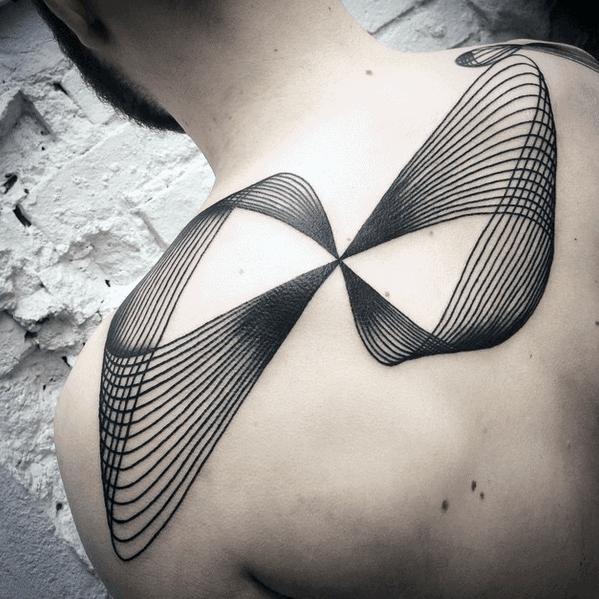 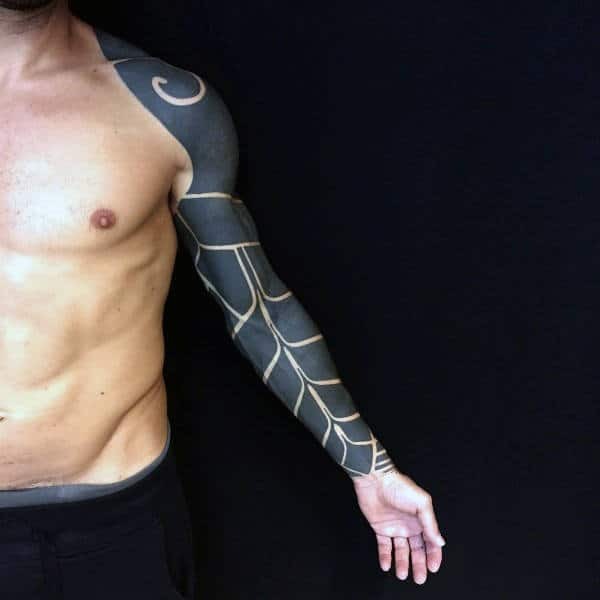 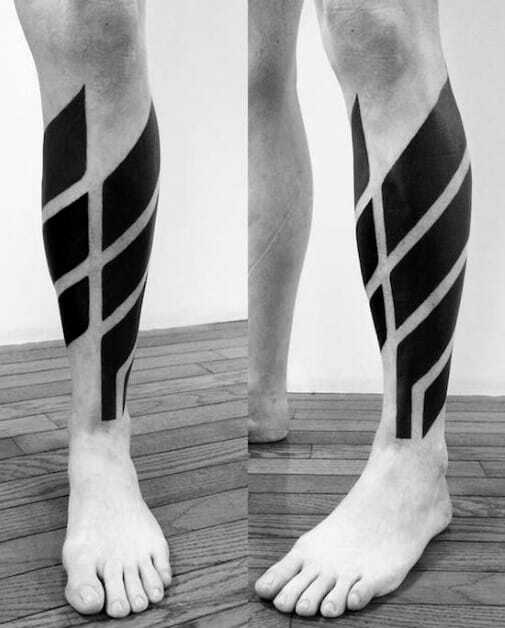 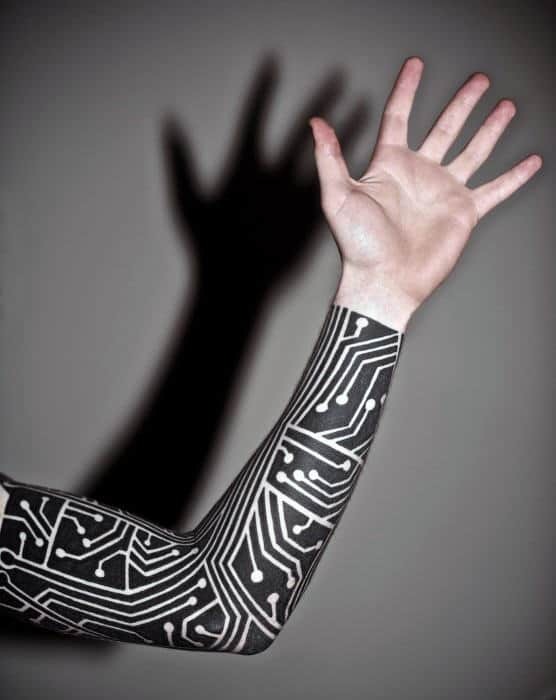 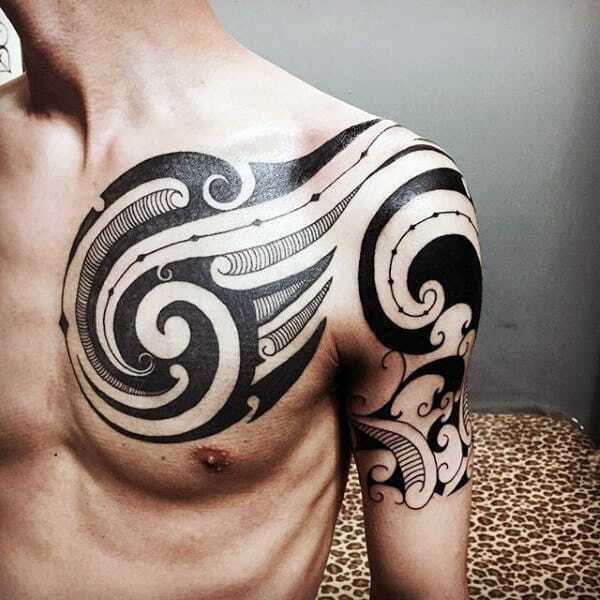 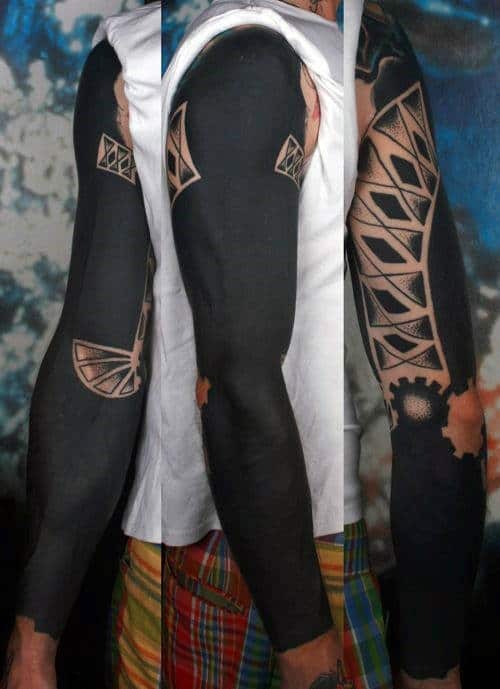 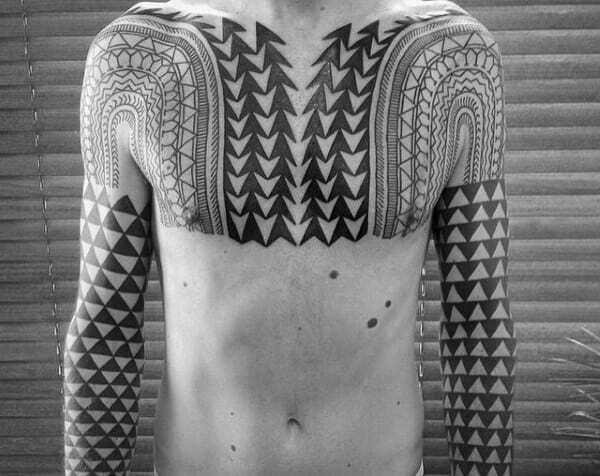 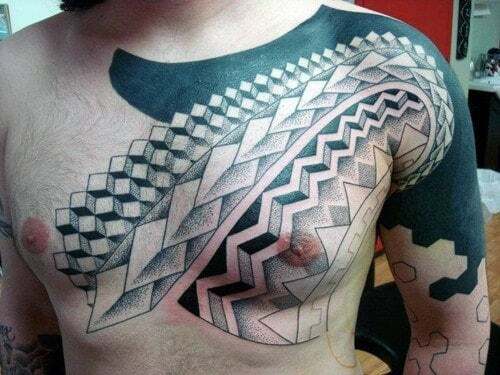 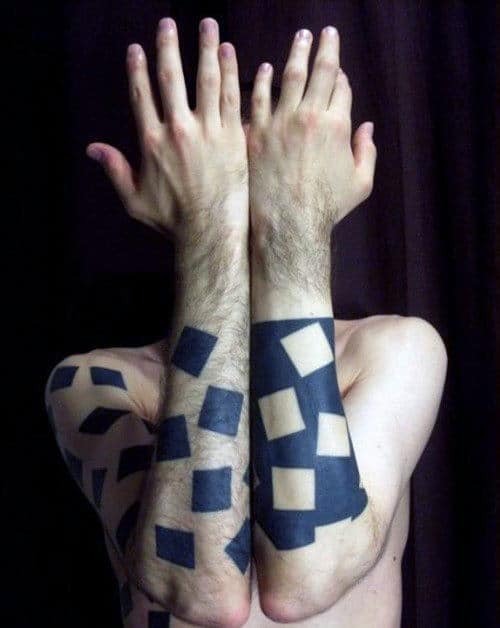 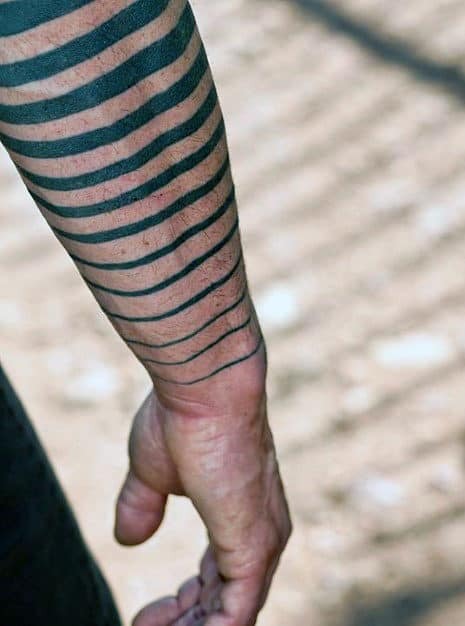 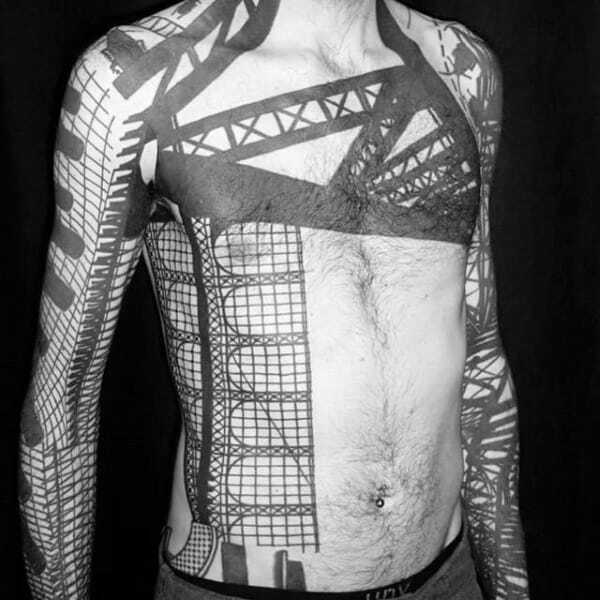 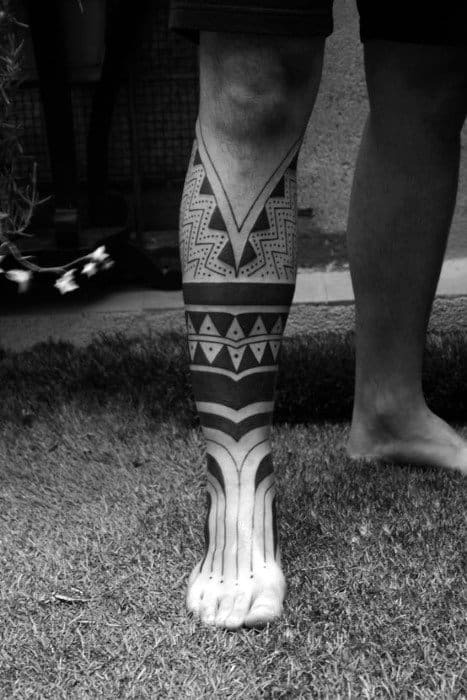 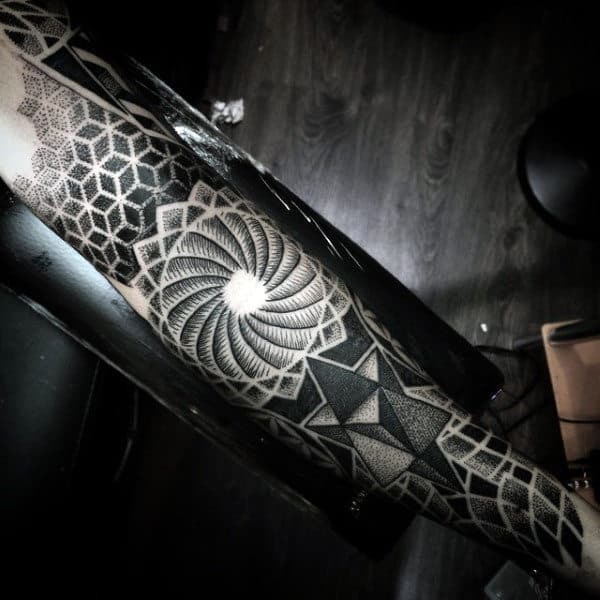 Neo-tribal tattoos are the hottest sensation of the 21st century, and men everywhere are undergoing extensive metamorphoses with these glorious post-modern patterns. 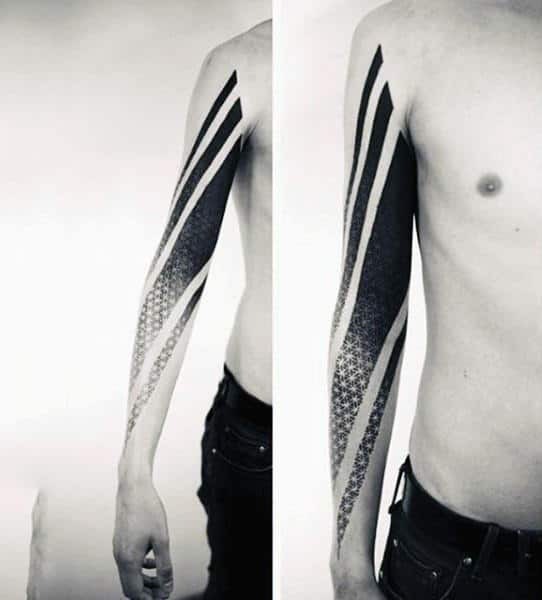 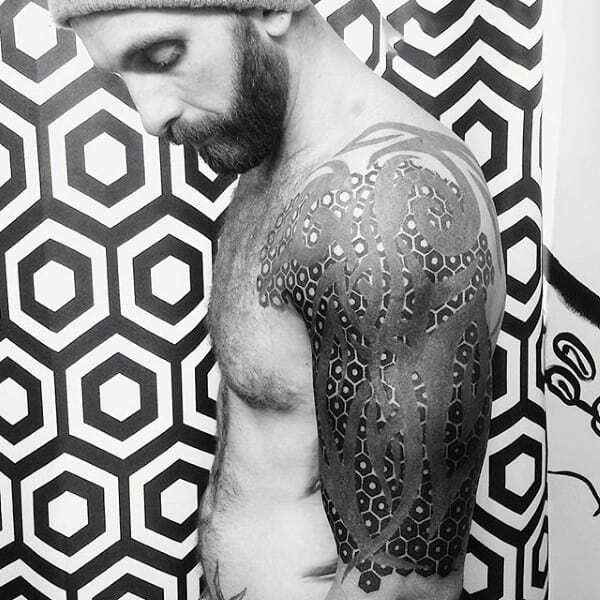 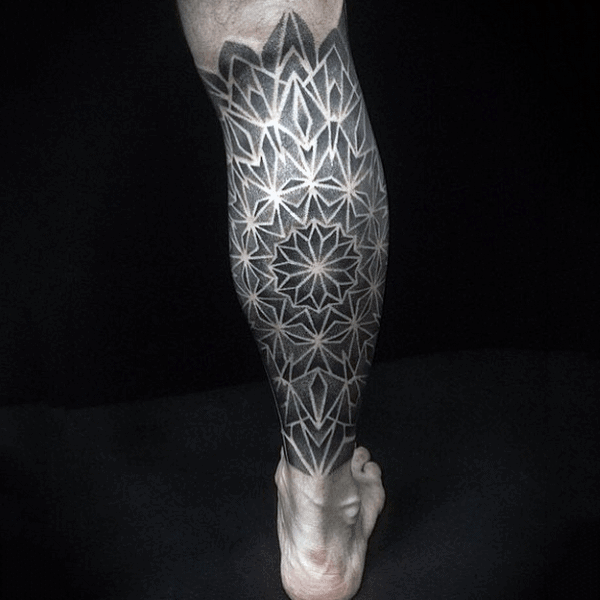 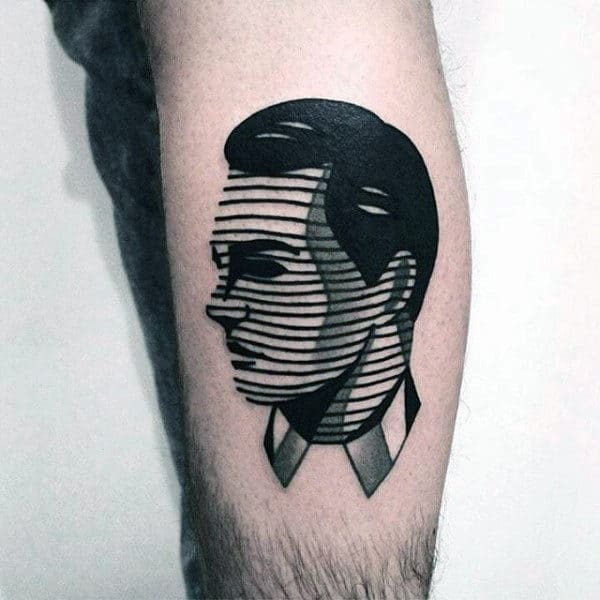 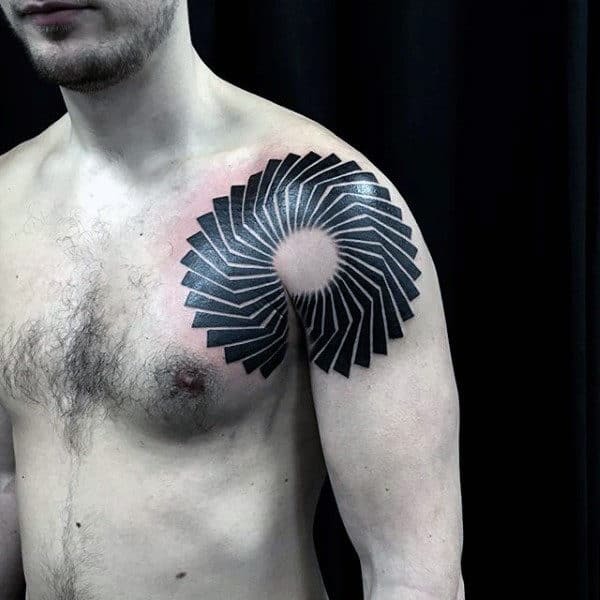 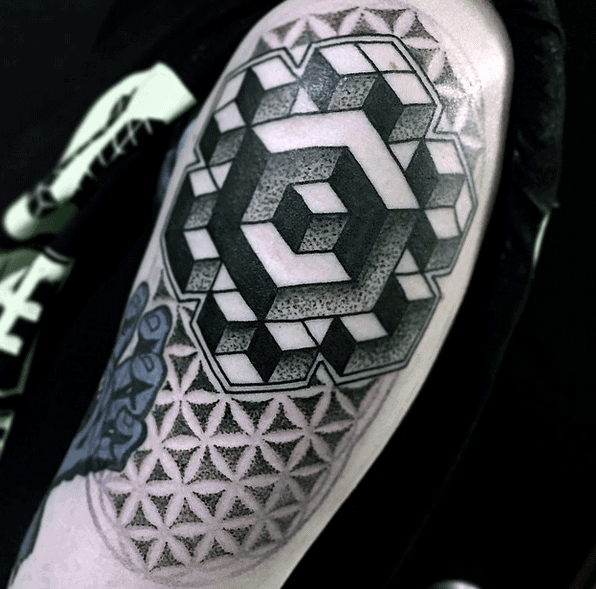 The ingenious ink masterpieces are also known as blackwork tattoos, and they are literally changing everything! 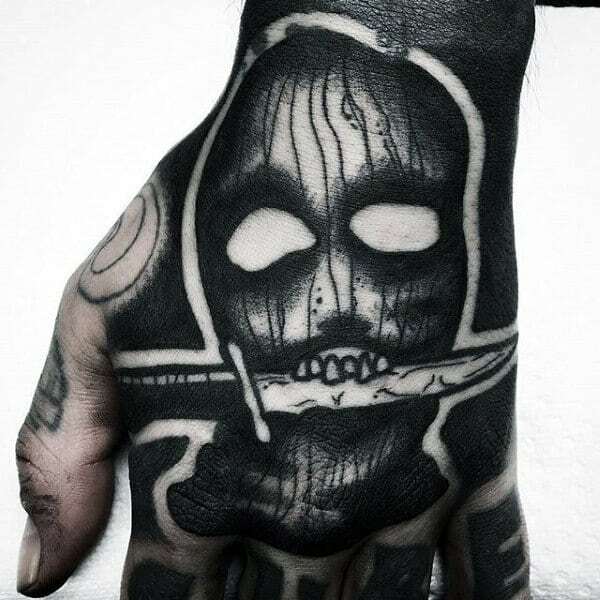 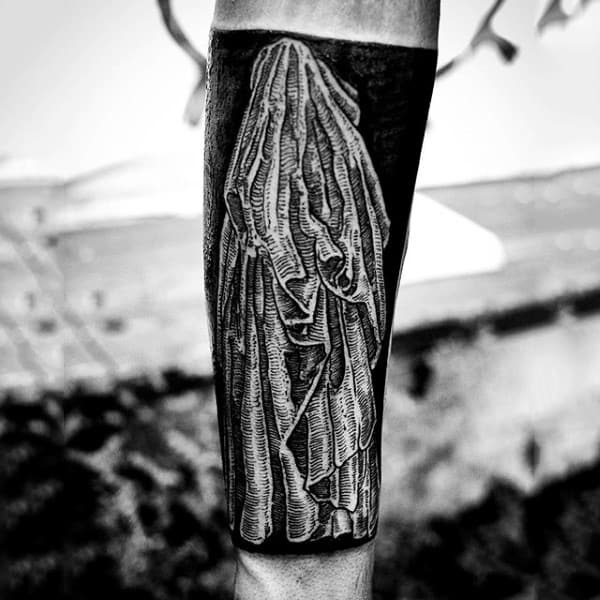 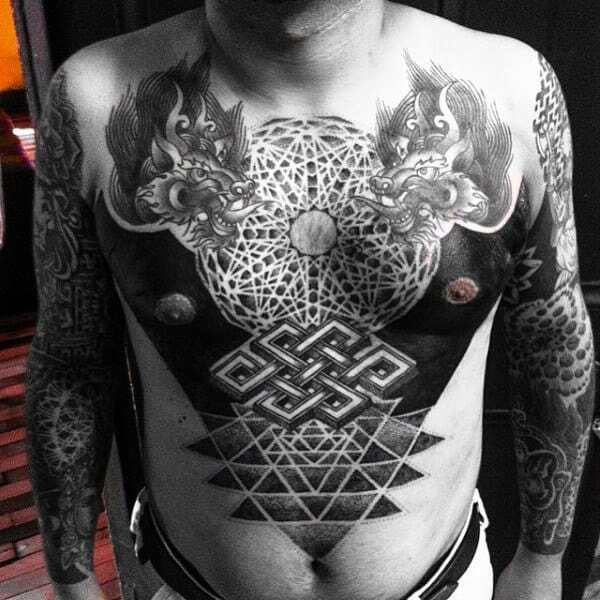 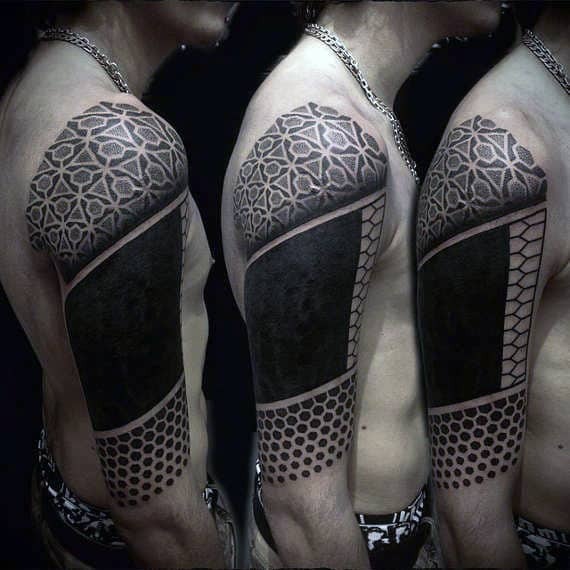 Blackwork tattoos are the sign of a true tattoo god! 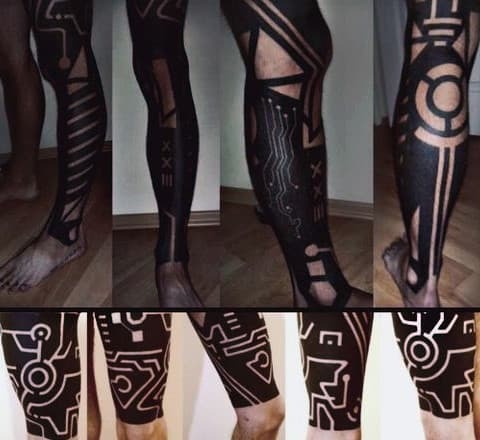 Nothing can top the futuristic prowess of these complex concepts. 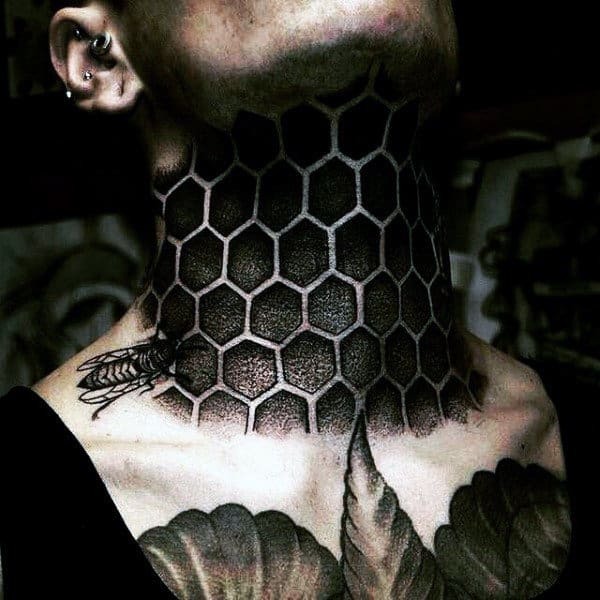 These creations represent a zenith of artistry for the entire industry of body modification. 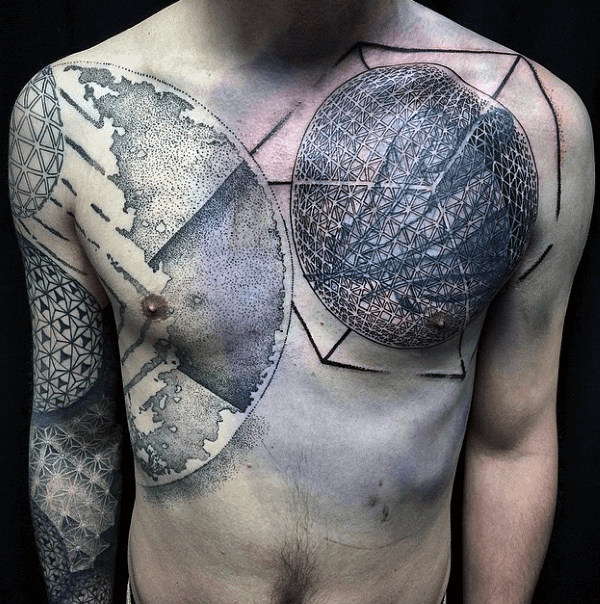 Intensely rich layers of geometry can be seamlessly melded together in an unprecedented fashion. 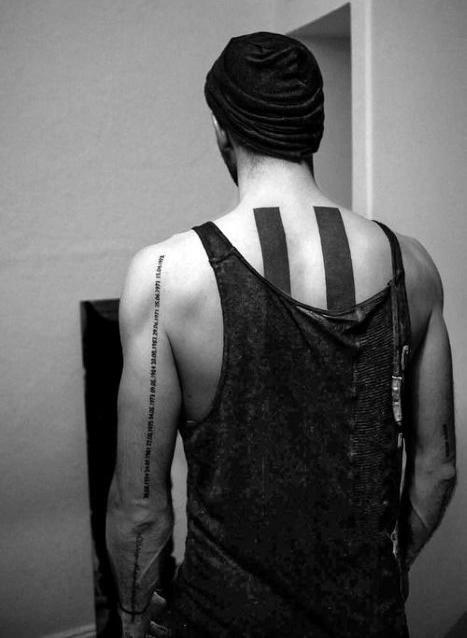 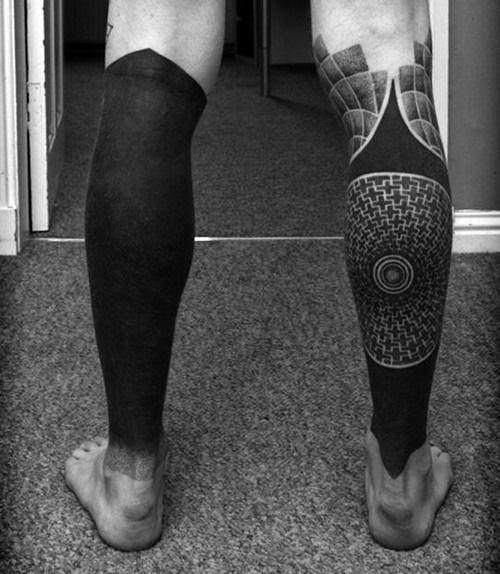 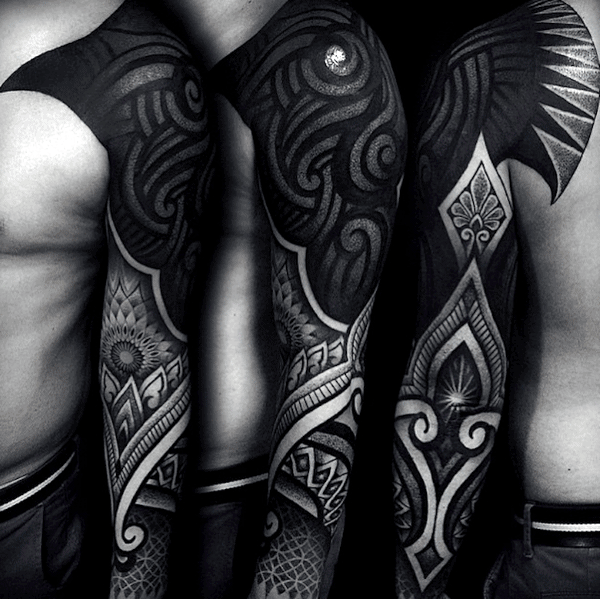 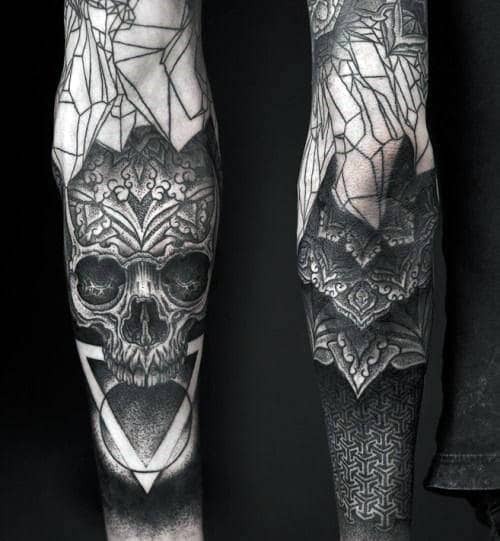 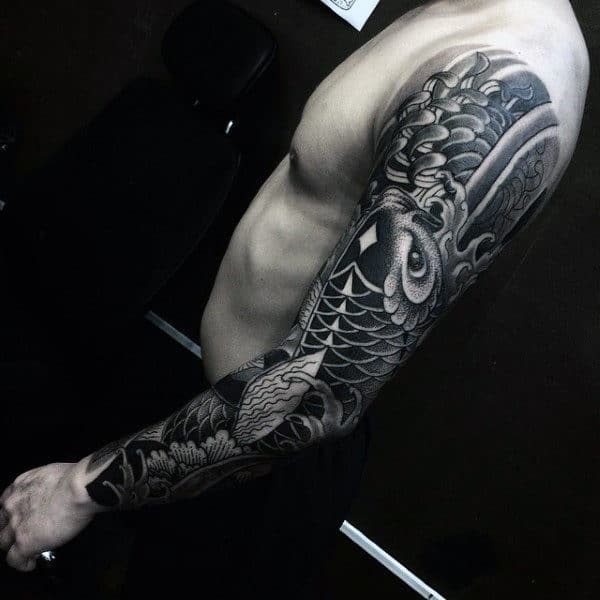 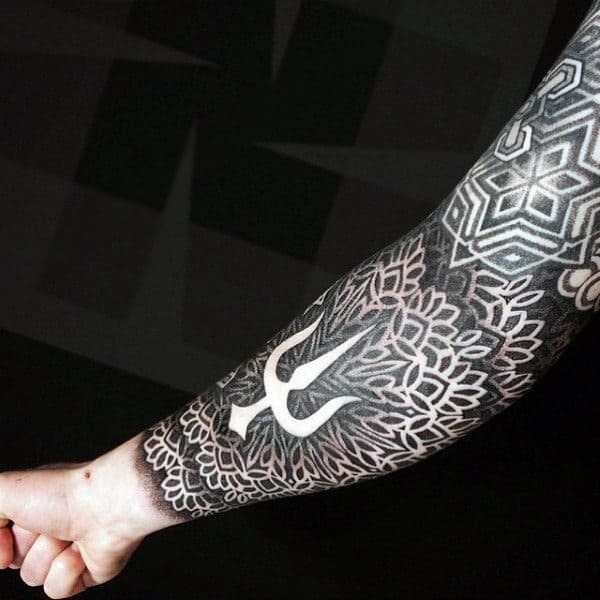 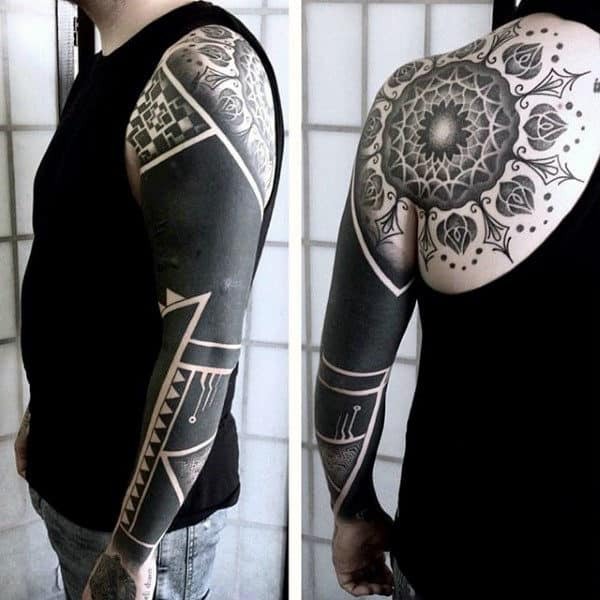 Guys can truly show off their exotic supernatural style with the revolution of blackwork ink! 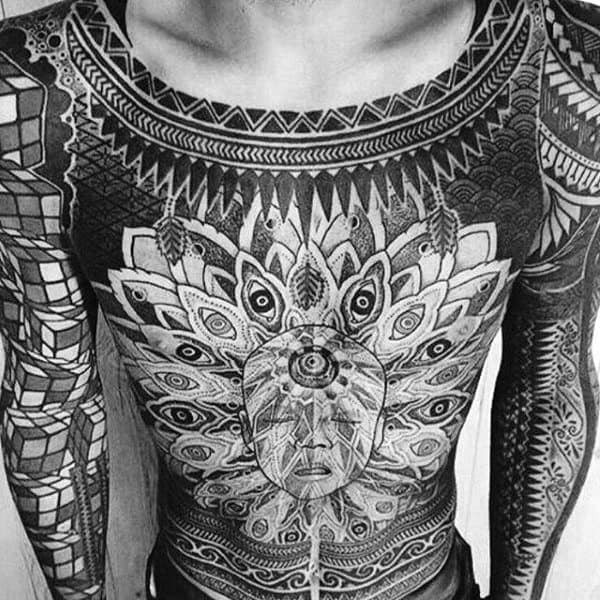 Tons of these innovative tattoos take inspiration from indigenous cultures, so they are intrinsically infused with spiritual significance. 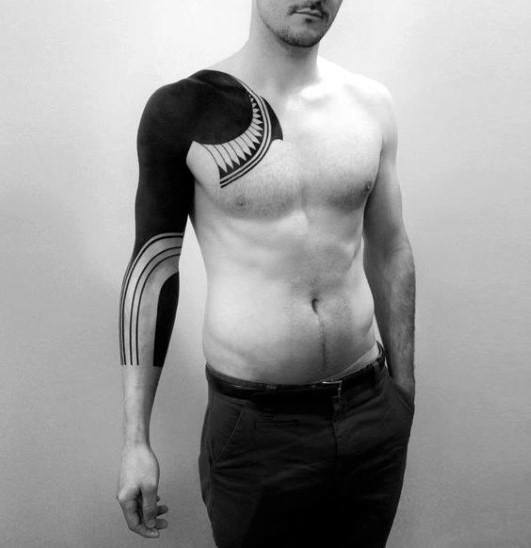 In fact, they allow a man to flaunt his status as a bona fide warrior. 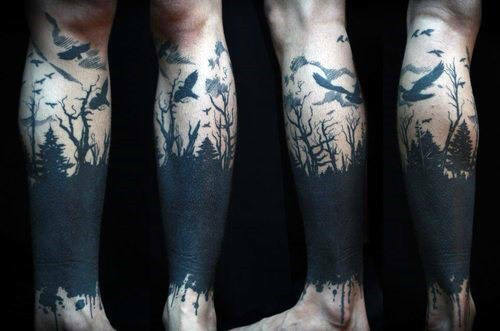 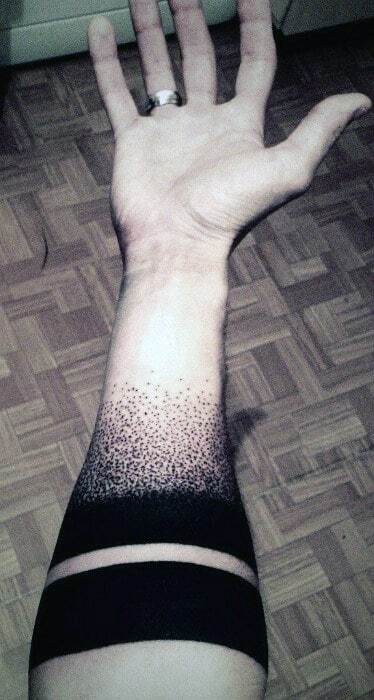 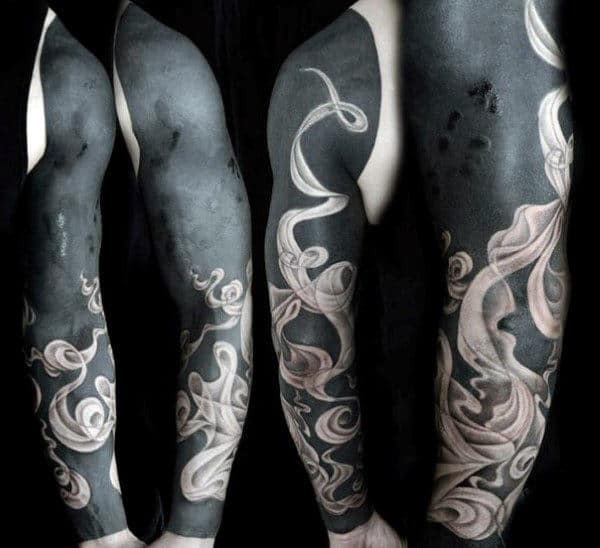 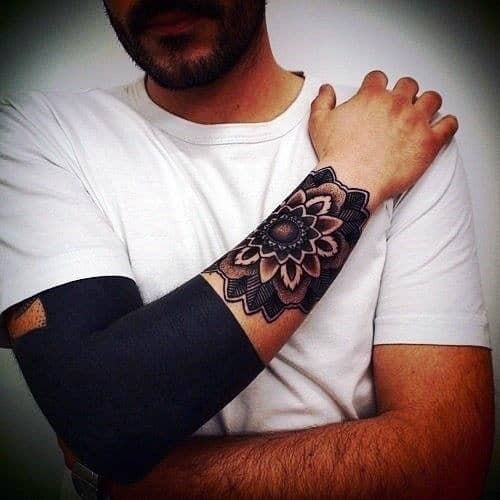 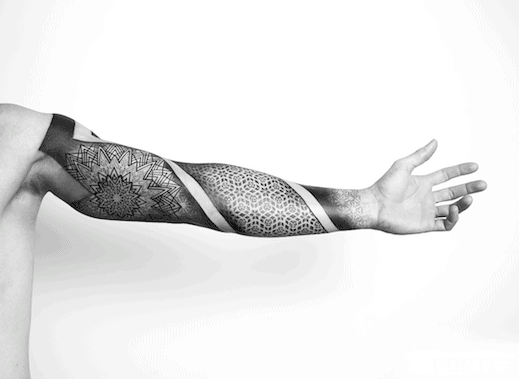 Naturally, these dramatically attractive tattoos function best as sleeves. 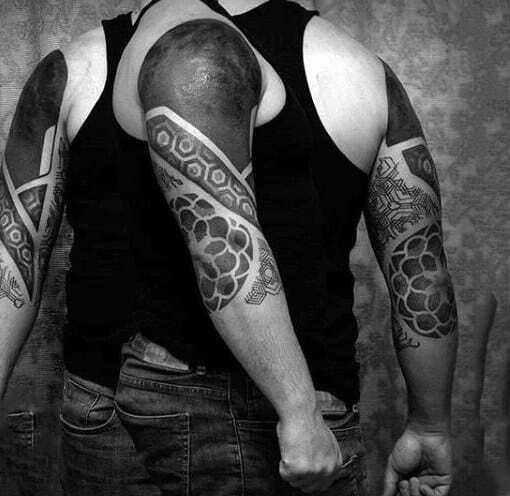 Bodybuilders often use these macho patterns to draw attention to their arms’ muscularity. 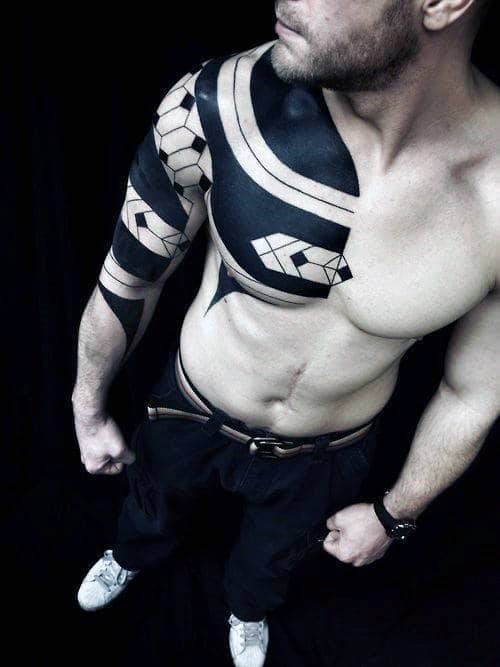 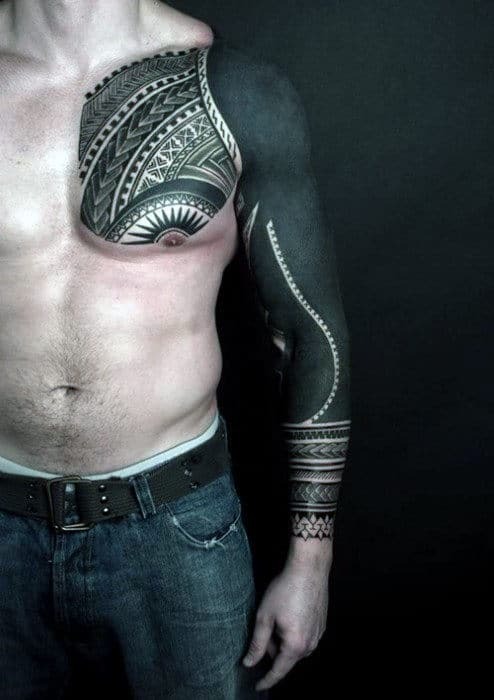 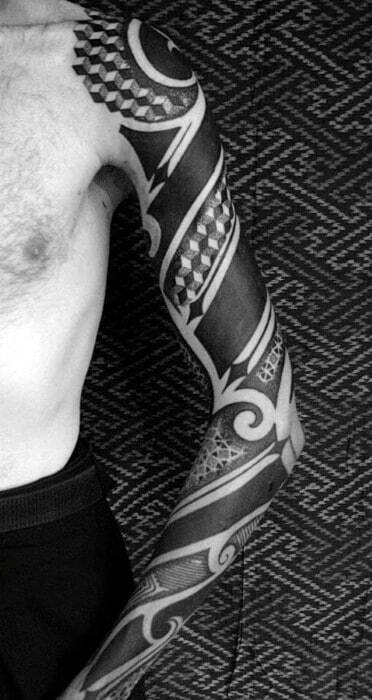 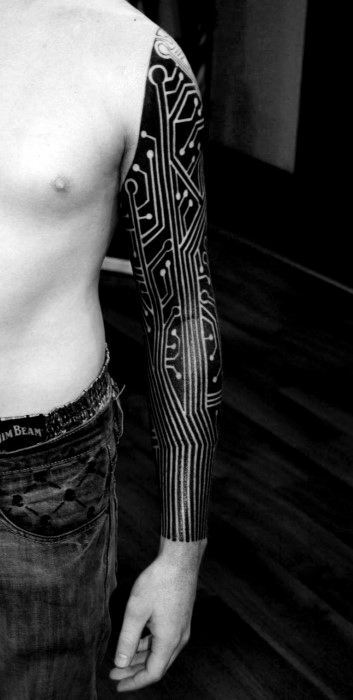 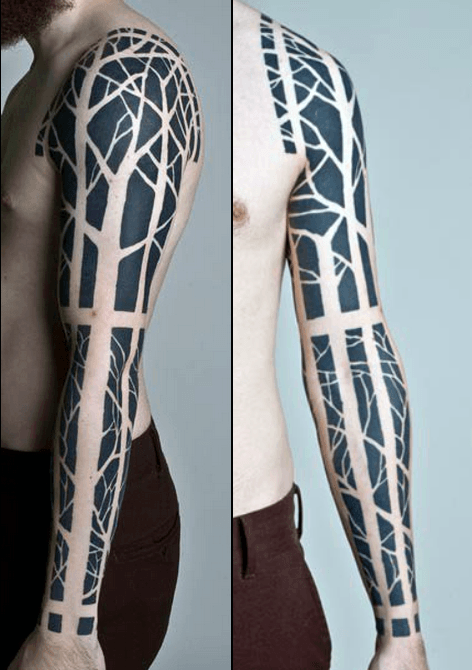 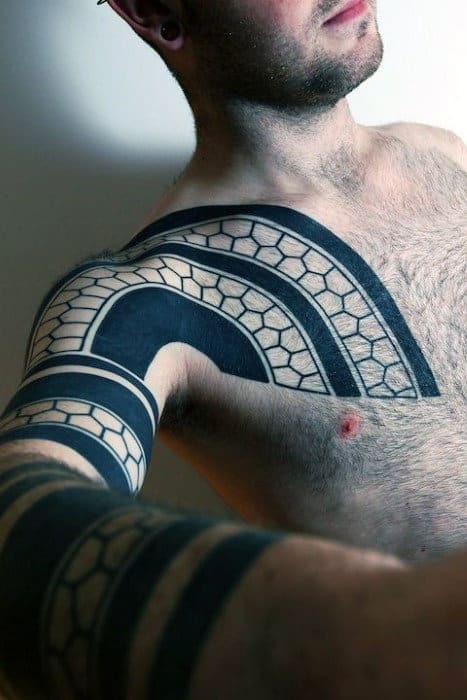 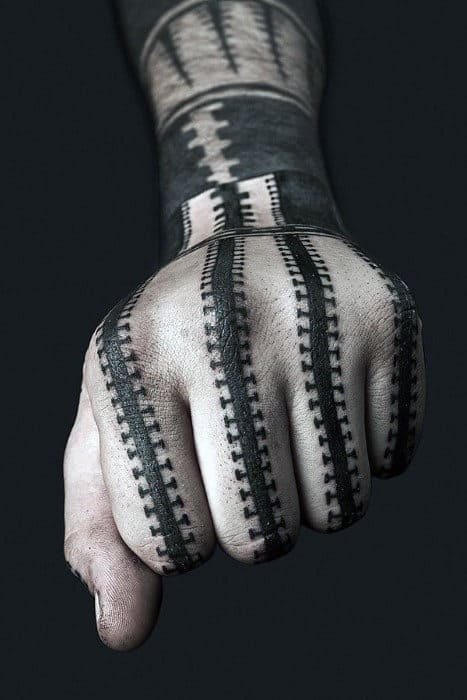 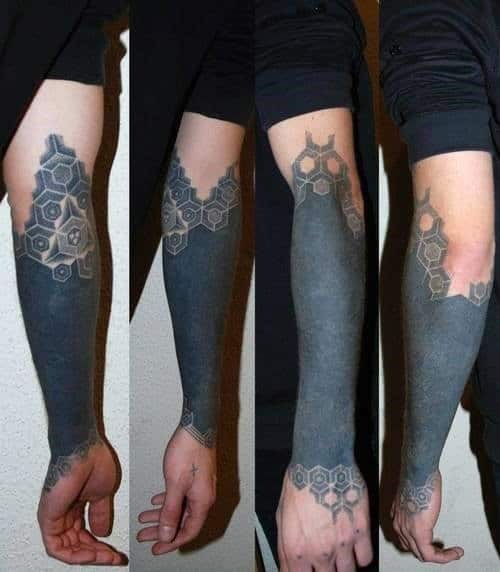 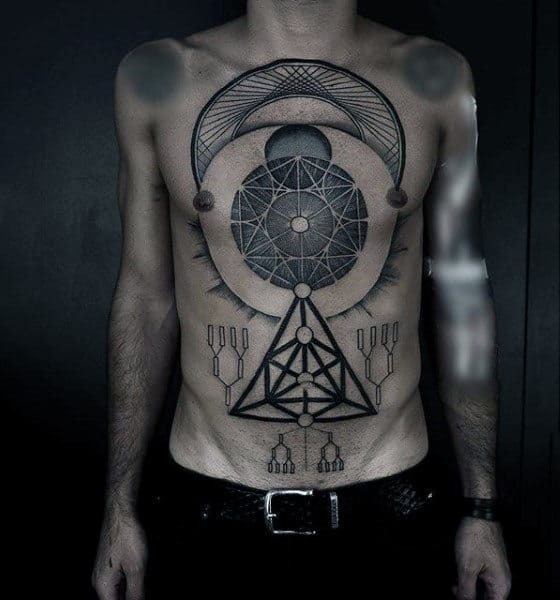 In the end, gentlemen of any brethren can rock blackwork tattoos for a dynamically masculine impact. 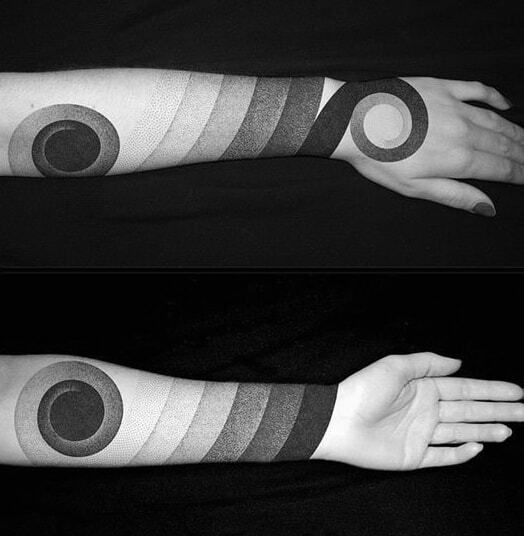 The effect will be positive in almost any arena, so prepare for a grand reception in every room. 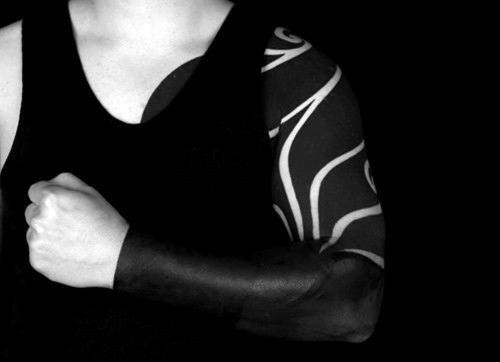 As you will see in our visual guide, these cunning beauties have extremely manly power!